Happy Valentine's Day! In our February issue you will find tips on keeping the women in your life healthy, how to help low income kids receive books by assisting with the Children's Book Harvest, ways to get involved in change for education in Oregon and more. 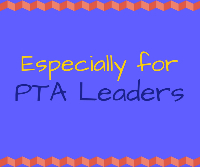 At the bottom of our newsletter, PTA Officers will find information specific to their roles in PTA. Thank you for reading and happy February! February is Heart Disease Awareness Month. One in four women in the United States dies of heart disease, while only one in 30 dies of breast cancer. If you’ve got a heart, which we all do, heart disease could someday be a problem. If you are a woman or have a woman in your life, know the risk factors and symptoms for heart disease. Learn more about heart disease. The Children's Book Harvest was overwhelmingly successful this year!! Books are still trickling in with one school's drive just now getting underway, and to date over 29,000 books have been collected. They are on target to break 30,000 books collected this year!! The next step is to organize volunteers to help clean and repair books so they can be distributed to children. You can all help by gathering a few friends, other parents, or colleagues and joining in a cleaning event. If you are interested in assisting, please contact Shawn Jaquiss, Children's Book Harvest Manager to work out the details. An easy way to further literacy in your home! There is an easy way to improve your child's chances at school- read to them for 15 minutes each day! Find out more about the benefits here. Increasing Family Engagement: Change Starts with Us! Research has consistently shown that students with engaged families perform better academically and socially. Read how Kentucky PTA is engaging with training sessions to assist families. Happy Birthday PTA! How will you celebrate Founder's Day? Founders Day, February 17th 2016, commemorates the first convention of the National Congress of Mothers, held February 17-19, 1897 in Washington DC. Each February, PTAs nationwide pay special tribute to Alice McLellan Birney and Phoebe Apperson Hearst, co-founders of the National Congress of Mothers, eventually called the National Congress of Parents and Teachers, or PTA. We also remember Selena Sloan Butler, who in 1926 founded the National Congress of Colored Parents and Teachers, which united with the National PTA in 1970. In 1910 Mrs. David O. Mears, one of the original members of the Congress suggested that Founders Day should always be observed as a significant anniversary by the National Congress – and everyone concerned with the needs of children and youth. Each year since then PTA members have honored the Founders. Through the Founders Day gift, they have helped ensure ever stronger and more effective local, state, and national parent-teacher action for children. If a PTA successfully recruits a school bus driver and the driver completes the training course and 90 working days, then First Student will write a check for $500 to your school. Recruited drivers must inform First Student Personnel during their initial visit, which school recruited them. Prospective drivers must be 21 years old, have 3 years driving experience in the U.S. and have an excellent driving record. They also must pass a drug screen, physical and criminal background check. Driving a school bus is a great part-time job with health benefits, a starting wage of $13.69 and guaranteed 5 hours per day. Membership Challenge: The PTA with the most NEW members entered each month November-April will receive a $25 Fred Meyer gift card. Just enter members each month and remit your dues payment to Oregon PTA and you are automatically entered. 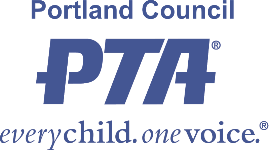 The last day of each month, Oregon PTA will note the PTA with the most new members for that month and notify them that they won. Congratulations to our January winner- Wilson High PTA added 402 members in the month of January! Membership Chairs: Please make sure you enter any new membership for your PTA every month. Membership payments are also due the last day of each month to Oregon PTA, so make sure and remit all membership dues by the end of the month. Principal and Teacher of the Year: Do you have a wonderful principal at your school? Or perhaps a terrific teacher? Portland Council has two awards to honor a special teacher and principal. These awards will be given out at the annual Volunteer Celebration held in May. Nominations are due April 15, 2016. Find Nomination forms and more information here. Take Your Family to School Week: Feb. 16-20, 2016. We're so excited to share National PTA's theme, "Rock with PTA," to celebrate the amazing accomplishments in the classroom. Showcase your Rock Stars! Celebrate families, students and schools! Follow National PTA on social media using the new hashtag #TYFTSW16. PTA Leadership Conference: Join Oregon PTA on April 15-16, 2016 at the Eugene Hilton for the 103rd Leadership Conference! There will be themed meals, exciting opportunities to network with PTA's from all over the state, and you will earn a lot at the great workshops! Find more information here. The Portland Council Clothing Center served 1326 PPS students needing clothing, September 2015- January 2016. We've had 2758 volunteer hours logged this school year! Thank you to everyone who has contributed time, donations or clothing to the Clothing Center so far this year! We are in need of sorting of donated items, as we have received quite a few donations. We will have shifts for sorting clothing every Tuesday 9am -Noon, and February 17th, from 3pm-6pm. If you have questions or need assistance, please contact Sharon Meigh-Chang, PTA Clothing Center Director at 503.293.0783 or via email. PTA Transitions: The smooth transition of outgoing and incoming PTA Officers is vitally important and can determine the success of your PTA for years to come. Start thinking about transition basics for officers. Make sure that the current board evaluates that activities and outcomes of the previous year and introduces the succeeding board to all key individuals or chairpeople who can help.